We carry the newest eco-friendly HP PVC FREE Wall Paper. 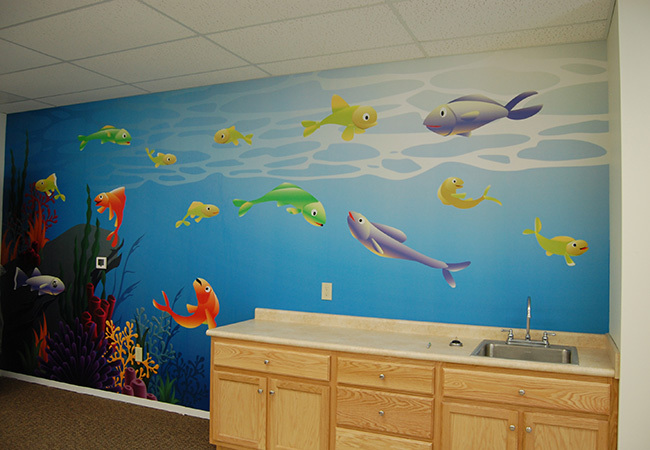 In combination with our eco-friendly Latex Printer we can produce murals suitable for daycare, hospitals, nurseries or any other facility that has strict guidelines. 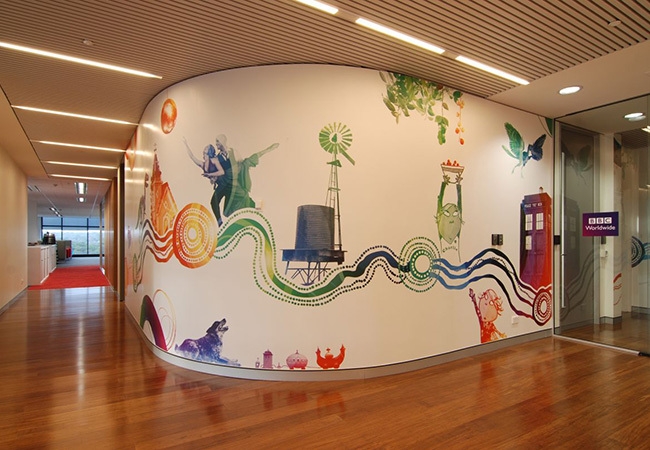 You can also design your own mural, digital décor and wall art online and we will print it for you! 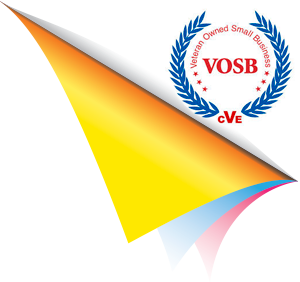 Click the design button and check it out! 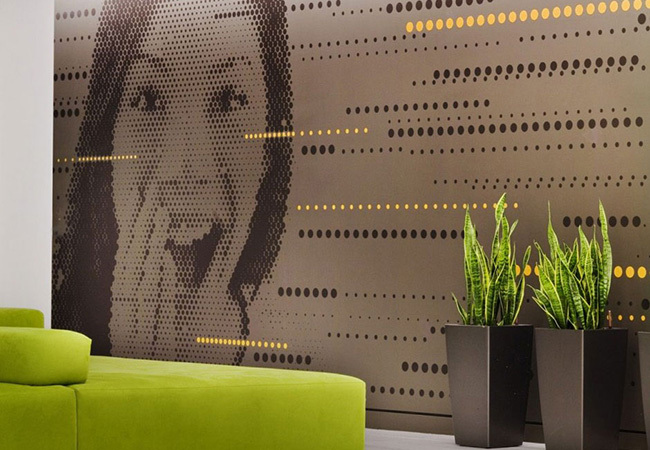 Differentiate your business with impressive wall murals that boldly define interior spaces. 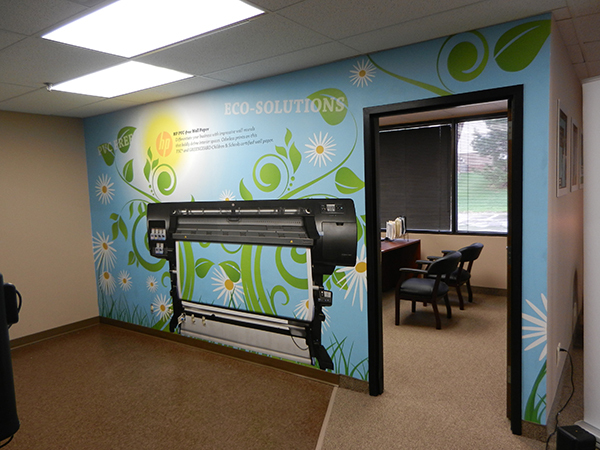 Odorless prints on this FSC ® and GREENGUARD Children & Schools SM certified wall paper are easy to install and easy to remove. Overview Offer your customers an exciting emerging application that boldly defines interior spaces. 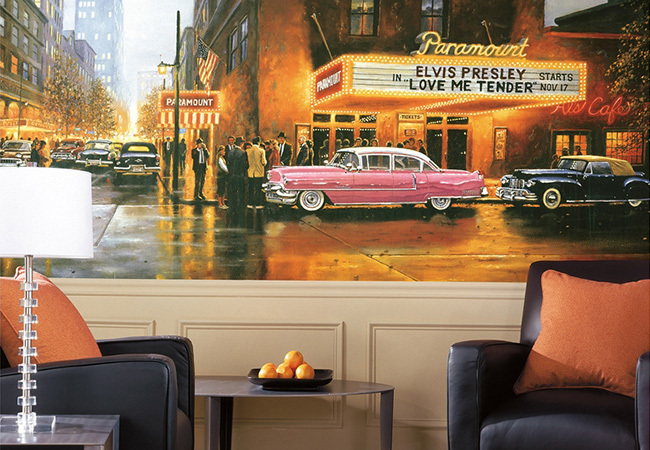 With HP PVC-free Wall Paper, produce colorful murals full of high-definition detail. It goes up and comes down easily with water, and it comes with an HP warranty. And with no distracting odor, long-lasting prints, and this FSC® and GREENGUARD Children & Schools℠ certified alternative, it’s easy to differentiate your offering.